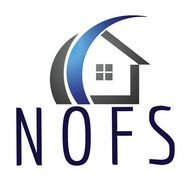 We are a regional mortgage field service firm looking for EXPERIENCED property inspectors. Ideal candidates will have or be able to pass an Aspen background check, have reliable transportation, a computer, cell phone, GPS and a fax/scanner/copier. We have experienced tremendous growth and we're looking to add solid performers to our team! We look forward to hearing from you! Apply for this job with Northern Ohio Field Services, Inc. Please contact Joe Linville at 216-215-5574 or apply online at www.NOFSInc.com and click "Click here to become an Inspector" in the upper right hand portion of the main page.